Silver (sometimes called silver dapple; in the Rocky Mountain breed it is called "chocolate") is a dilution gene that only affects black hair. It does not "show" on chestnuts, since they do not have black hair to be diluted by the gene, but silver can be passed on by those chestnuts who carry silver. The silver gene dilutes any black hair on the horse to shades of chocolate through slate gray, sometimes with dappling, and has an added lightening effect on the mane and tail, turning them silvery gray, straw colored, or even platinum. 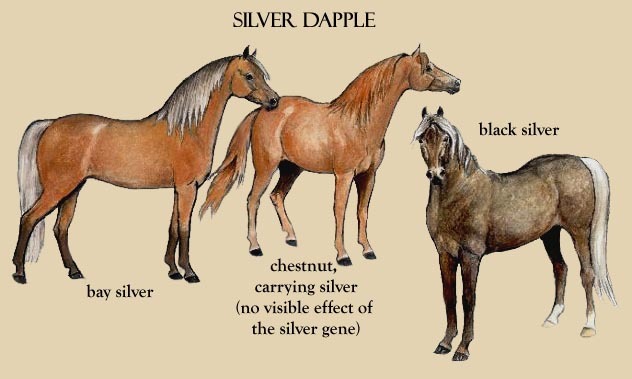 Because silver is a dominant gene, all silvers will have at least one silver (or a chestnut that is carrying the silver gene) parent. Silver is the rarest of the three dilutions found in Morgans, with less than 100 alive at present. In the past, most silvers were registered as, and thought to be, chestnut. 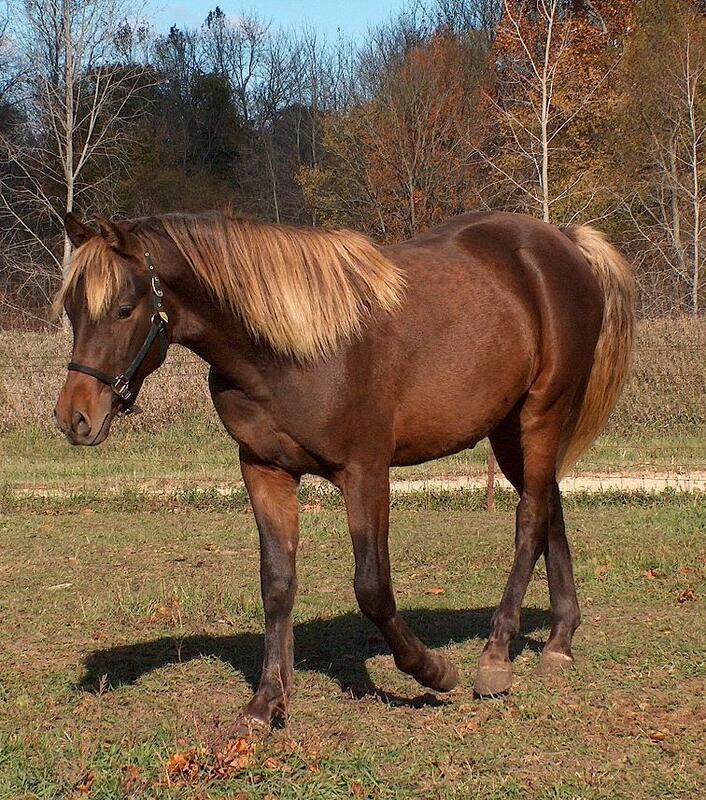 Since chestnut bred to chestnut always results in another chestnut, this caused some confusion when the “chestnut” (who was actually silver) was bred to another chestnut and a black, bay or brown was the result! This has, however, made it easier to track the gene’s source, as the production records of mistakenly registered silver Morgans are loaded with such incidences. There is a test for silver. 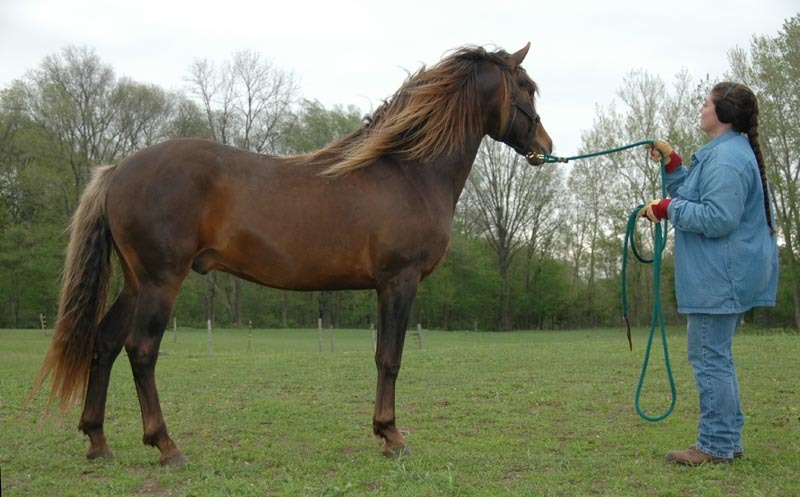 The 2006 Uppsala University (Sweden) study that identified the gene included four silver dapple Morgans, and the bay silver Morgan, Unconventional (Gone Gold x Foxton Frosty Dawn), and the chestnut (carrying silver) Morgan mare, Amanda’s Suzie Q (Devan King x Taha Holly Q), are pictured in it. A copy of the study can be downloaded here in PDF format. 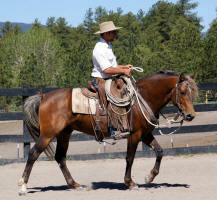 For more information about testing your horse for the silver dilution, please visit the UC Davis website. 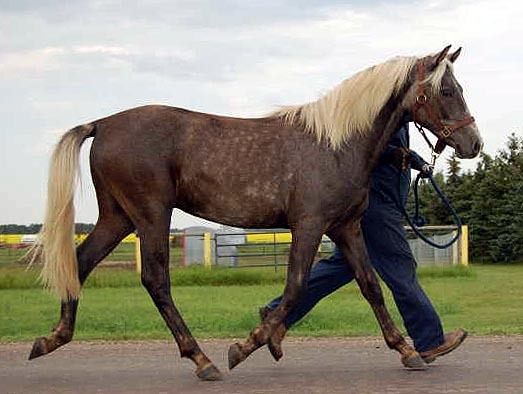 At this time there is only one known source of the silver dapple gene in Morgans: Dan, a chestnut (carrying silver dapple) foaled in 1916, a son of Headlight Morgan. While there are many descendants of Dan who did not inherit his silver dapple gene, two lines from him are known to be silver. 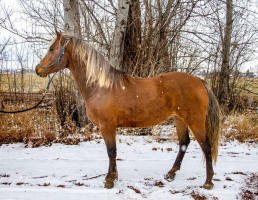 They come from the 1966 chestnut (carrying silver) stallion, Topside Jolly Roger, and the 1975 chestnut (carrying silver) stallion, Crimson Jack. COULEE BEND ROLLS ROYCE (Unconventional x Silverstone Firefly Ash) 2012 black-based gray silver gelding owned by Coulee Bend Morgans. "Rolly" is the only gray + silver in the breed at this time. On the left is Rolly at a few days old; middle is at 14 months; and on the right he is age 3 in 2015. He is beginning to look more gray than silver, and like all grays, will eventually be completely white. Photos courtesy of Cindy Dietz. 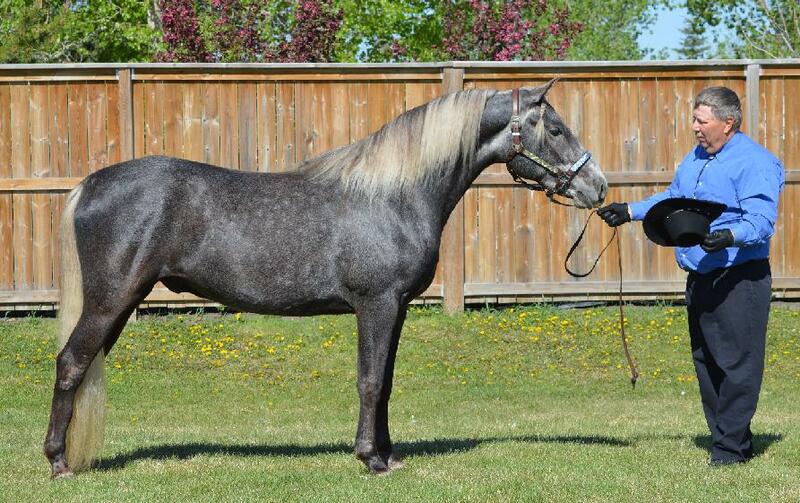 KTM SILVER DOLLAR (Schaenzer's Silver Eagle x KTM Rio Belle) 2012 bay silver stallion owned by Thomas Morgans. 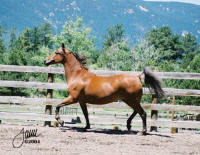 STONE PINE LOGAN (PL Chosen For Glory x Lone Pine Starlite), 2008 bay silver stallion owned and photographed by Marilyn Esteb, Stone Pine Farm. 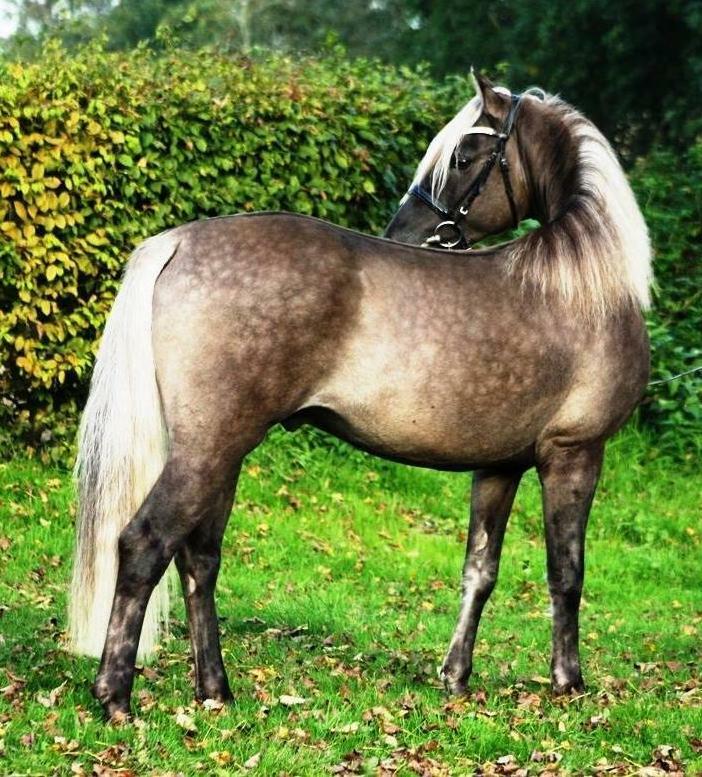 SCHAENZER'S SILVER LINING (KTM Shadowflax x Alpinemint Blessing), 2012 silver grulla stallion owned by Inge Schicker, Germany. "Linus" was the first dun + silver dilute in the breed. 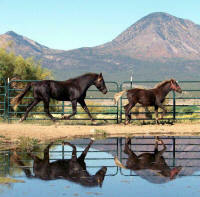 In the middle picture he is shown with his 2012 paternal half brother, the black silver Schaenzer's Silver Fox. The dun dorsal can be clearly seen. On the right, Linus is pictured in 2015, as a three year old. ERBER'S APRIL JOY (Erber's CF Onyx x Pegasus Prime Joy), 1998 bay silver mare, with her 2008 bay silver daughter UDM MIA AMORE (by Hillfield Nightrider). April's mane and tail have darkened somewhat with age, as many silvers do, but their silver-gray coloring as well as her charcoal-chocolate colored diluted legs, are typical of bay silvers. Photo courtesy of Tracy Trevorrow. The late ZEULNER'S SILVER LEGACY (Zeulner's Sunka Wakan x Oregon N Blacksaddle Ecstacy), 2005 black silver stallion, with his weanling black silver daughter FILIGREE IN STERLING (x MLF Emotion), f. 2009. Photo by Linda Sterling. 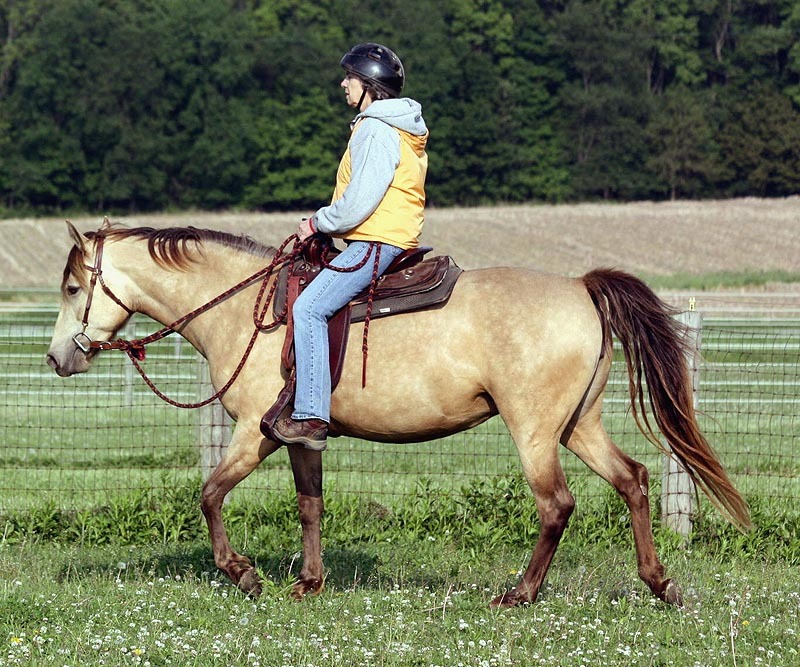 EDGEFIELD VERMEIL (Edgefield Sun Gold x Foxton Frosty Dawn), 2009 buckskin silver filly owned by (and pictured with) Charlene Cook, Edgefield Farm. 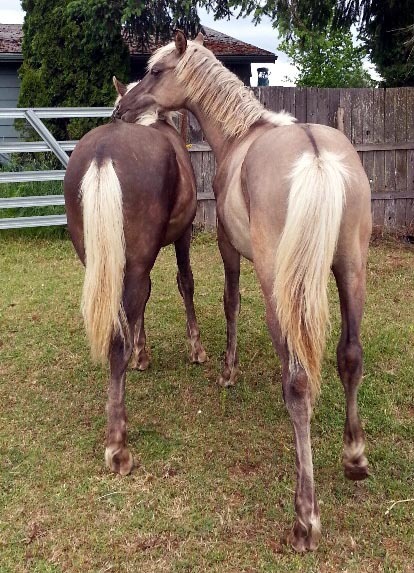 The usually-black points of the buckskin are diluted to chocolate and the mane and tail to a mix of gray and chocolate hairs by the action of the added silver gene. Photos courtesy of Char Cook. POSITIVELY CHARMED (Gone Gold X Foxton Frosty Dawn), 2007 smoky black silver filly owned by Brookridge Morgans. 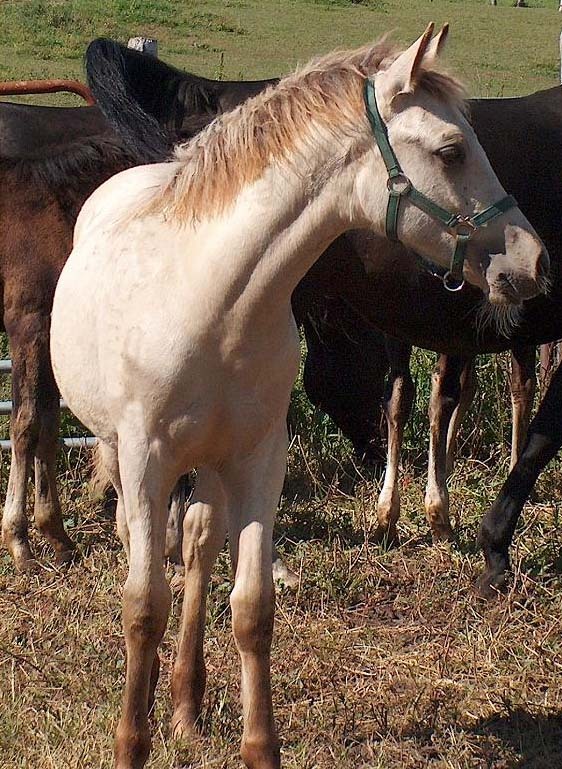 "Charli" carries both a cream gene and a silver gene. Her color changes from birth to the present are chronicled here. 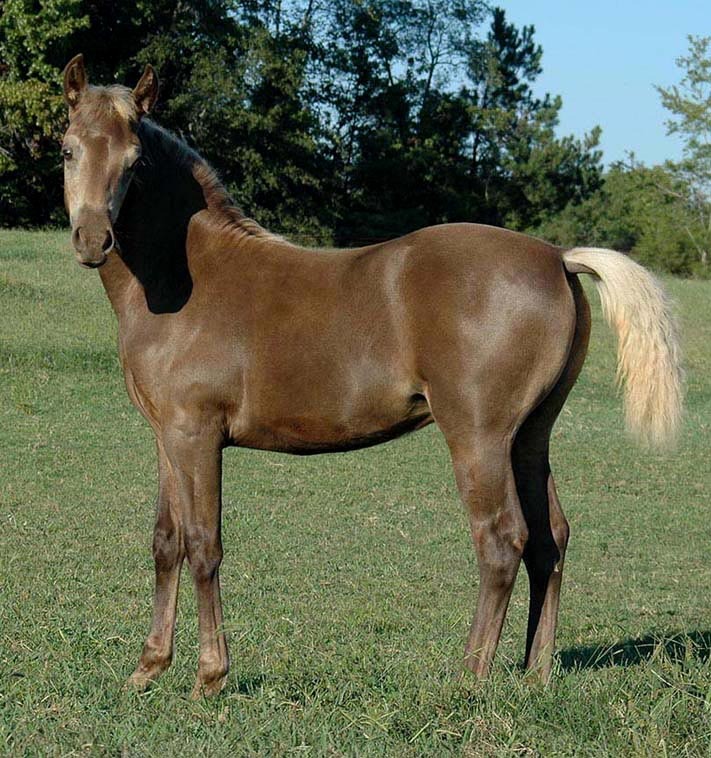 TMV TAYLOR MADE (Finally's Mr. Andy X Amanda's Suzy Q), 2007 buckskin silver colt owned by Tamara Dirrim. The interaction of one cream gene with the silver gene creates some very interesting- and confusing!- colors. 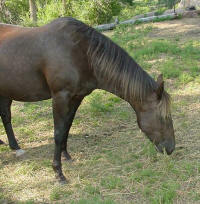 Taylor's black points, which would be black if he was buckskin-only, are diluted to chocolate by his silver gene. Silver is also diluting his black mane and tail to a greyish silver. 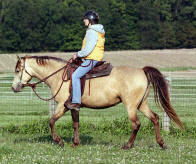 Most bay-based buckskin silvers are this pale body color, rather than the deeper golden coloring of most buckskin-onlys. 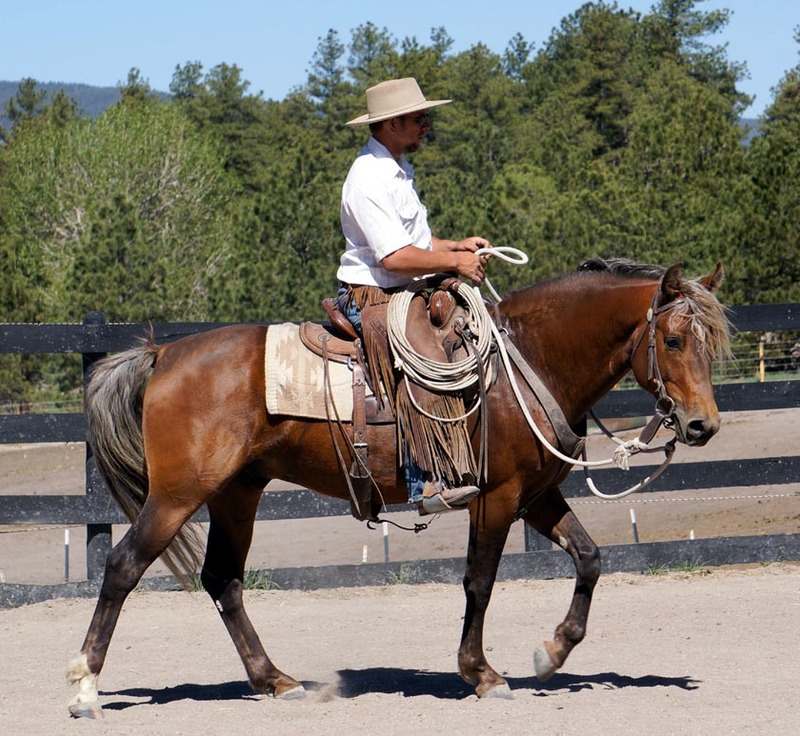 Brown based buckskin silvers may be darker than this, however. Photo courtesy of Tamara Dirrim. 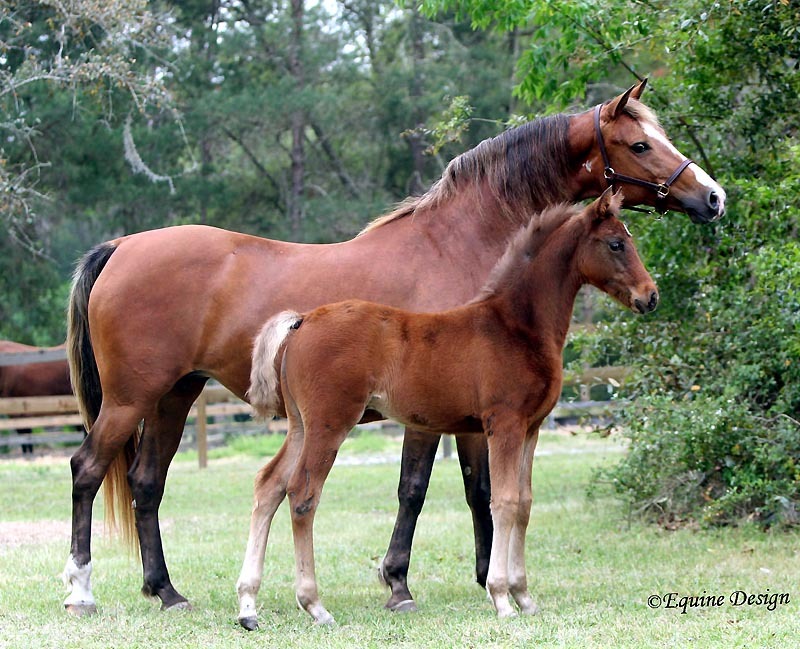 UNCONVENTIONAL (Gone Gold X Foxton Frosty Dawn), 2006 bay silver dapple stallion, pictured as a weanling on the left and as a three year old on the right. 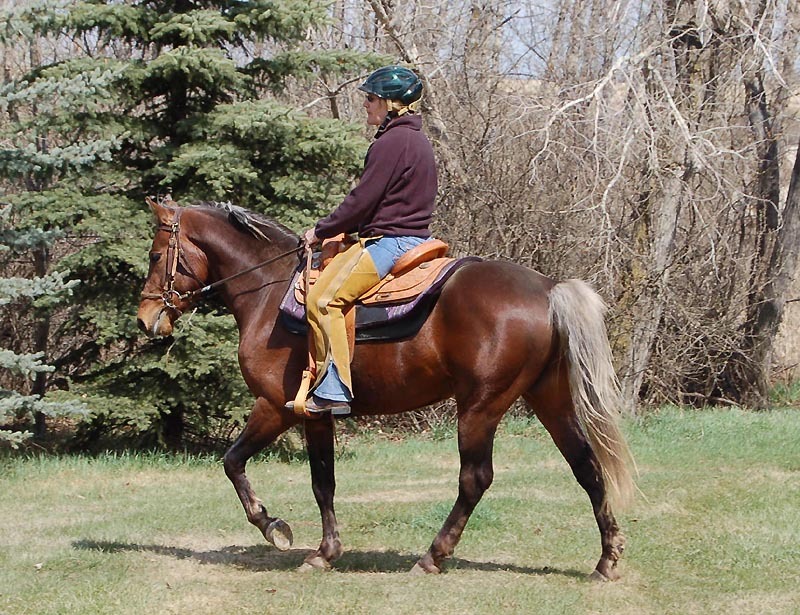 Owned by Lyle and Cindy Dietz, Coulee Bend Morgans, Galahad, AB. 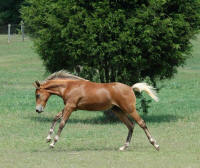 You can find many more pictures of "Connor" as a youngster here. First photo by Laura Behning, second by Cindy Dietz. 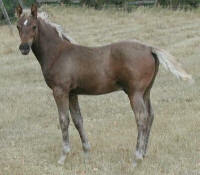 TMV SILVER HAWK (Carbide Smoke X Amanda's Suzie Q), 2004 dark bay or brown silver dapple colt owned by Tamara Dirrim. First picture taken in winter coat as a late yearling, fall 2005, courtesy of Tamara Dirrim. Second picture taken spring 2009 at age 5, by Laura Behning. FOXTON FAWN (Society Statusmaster X Foxton Felicia), 1987 brown silver dapple mare. Silver dapple was confirmed in the breed in 2002. 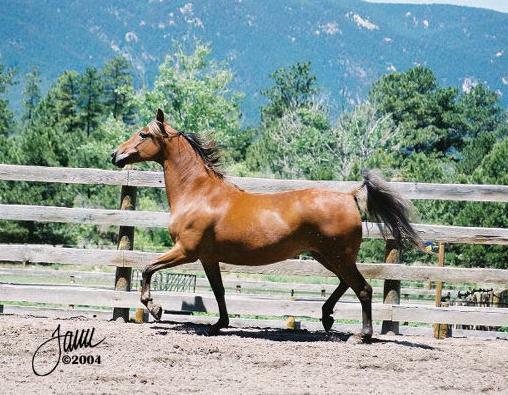 When Fawn's grandson, Zeulner's Sunka Wakan, (then registered as chestnut) sired a bay foal out of a chestnut mare, Sunka's owners had the stallion tested via the Red Factor test at UC Davis, and discovered he is NOT chestnut. Fawn, through her dam Felicia, is the source of Sunka's silver gene. 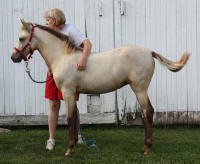 Fawn is now owned by Lisa Holec of Senoia Georgia. She has been Red Factor tested homozygous for black. Photo by Laura Behning. 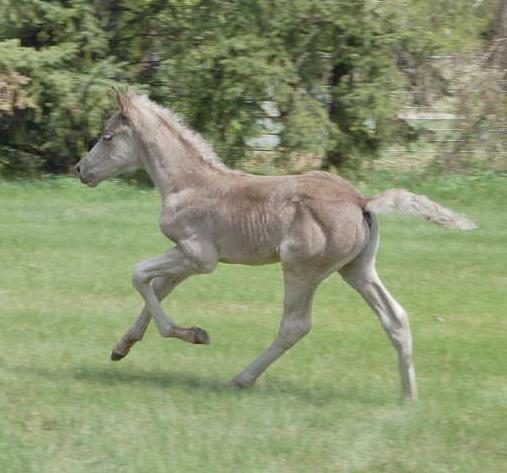 SCHAENZER'S SILVER EAGLE (Zeulner's Sunka Wakan X Granaway Bon Amie), 2004 dark bay/brown silver stallion (pictured as a weanling) owned by Ken Thomas, Thomas Morgans. Silver has not quite finished shedding his foal coat here, so his legs are just beginning to show the hints of the darker points they will have at full shed. LONE PINE STARLITE (Dutch Royal Tribute, bay X Pegasus Polka Dot, chestnut carrying silver), 1998 silver dapple bay mare, registered as chestnut, but confirmed "Ee" (heterozygous black) via UC Davis Red Factor testing. 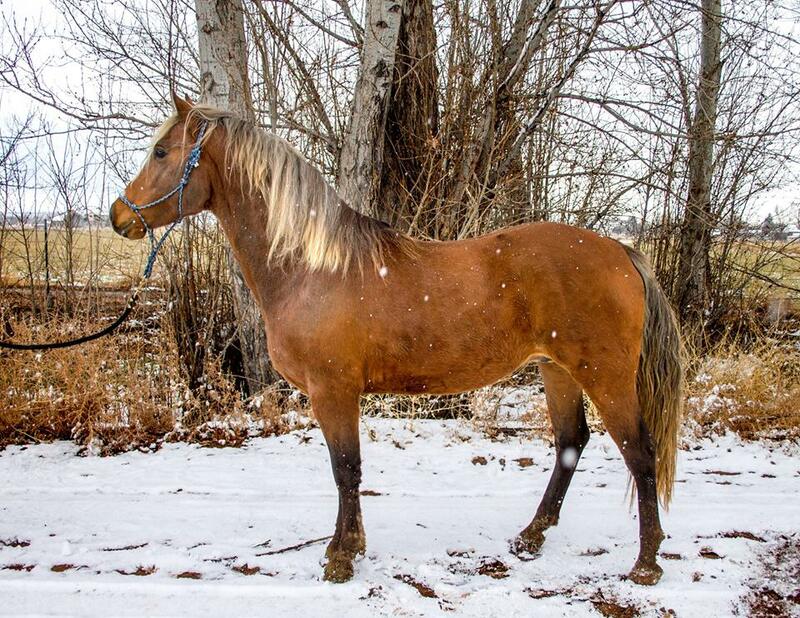 Daisy almost looks like a "normal" bay colored horse, except for the silvering in her mane and tail and the washed out points. 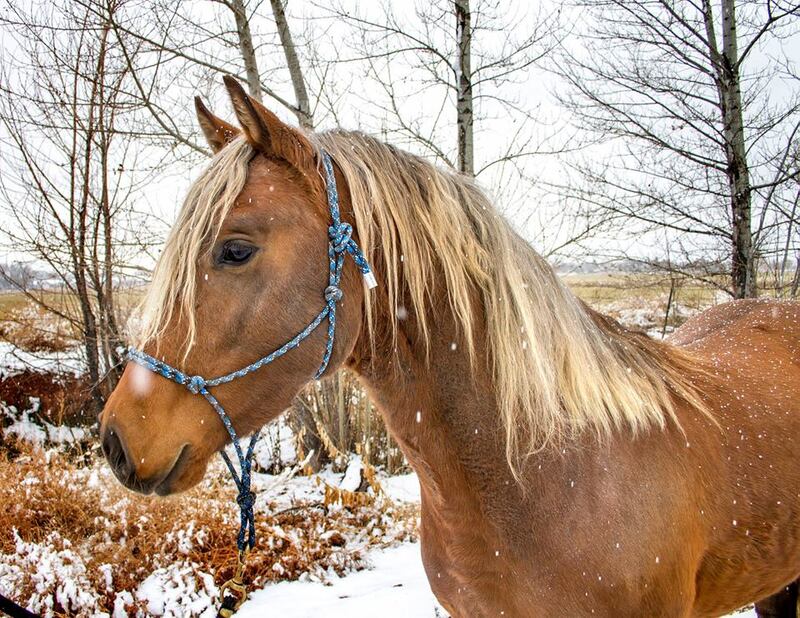 Daisy is owned by Karen Burridge, Upsondowns Morgans and Marilyn Esteb, Stone Pine Farm. Photo courtesy of Tami Johnson. FOXTON SMOKEY DAWN (Topside Midnight X Foxton Felicia), 1990 black silver mare owned by Foxton Morgans in Foxton CO. 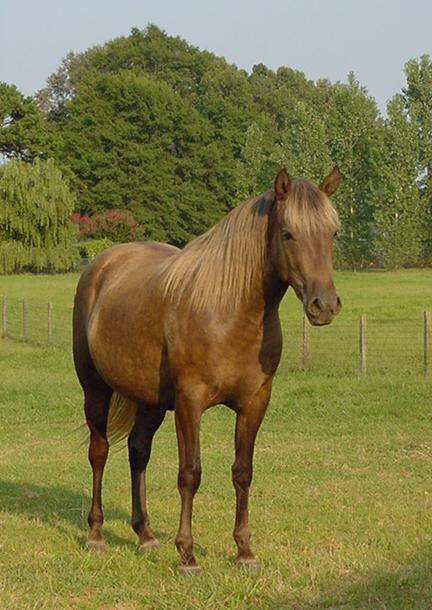 Dawn's mane and tail was lighter when she was a youngster; now it has age darkened (a phenomenon thought to be the result of the sooty gene; age darkening also can happen in other light mane and tailed horses like palominos and flaxen chestnuts) considerably, but retains the silvering at the ends of the mane and in the forelock. 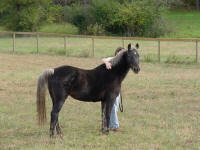 This mare tested as homozygous for black, no agouti, meaning she is silver dapple on a black base color. Photo by Laura Behning. 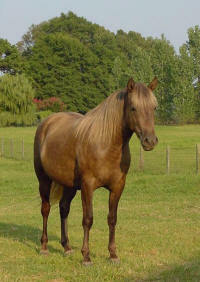 FOXTON FROSTY DAWN (Foxton Society Beau X Foxton Smokey Dawn), 2002 dark bay or brown silver mare. You can see many more pictures of Frosty here. Frosty tested as homozygous for black via the UC Davis Red Factor test. She has had four foals so far, all silvers, three of which are pictured on this page. Photo by Laura Behning. 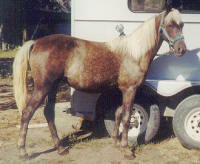 WHITING'S FANCY STAR (Foxton Debonair X Foxton Fawn), 1999 silver dapple mare, pictured here as a (sun-faded) yearling. 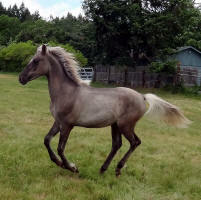 Fancy Star is one of several classic silver dapple offspring of Foxton Fawn. 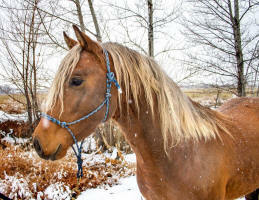 She is owned by Joyce Urroz of Custer SD. 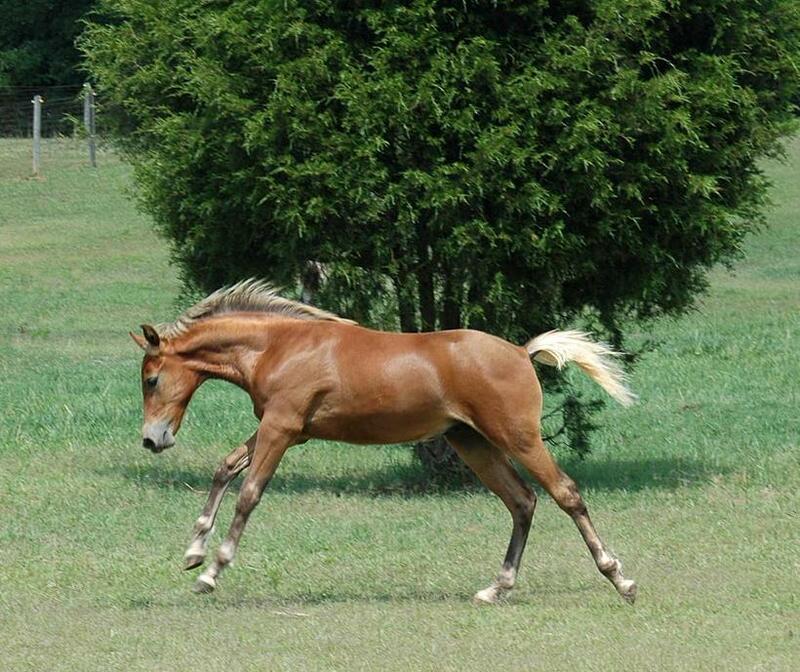 Photo courtesy of Fancy's breeder Carroll Whiting.